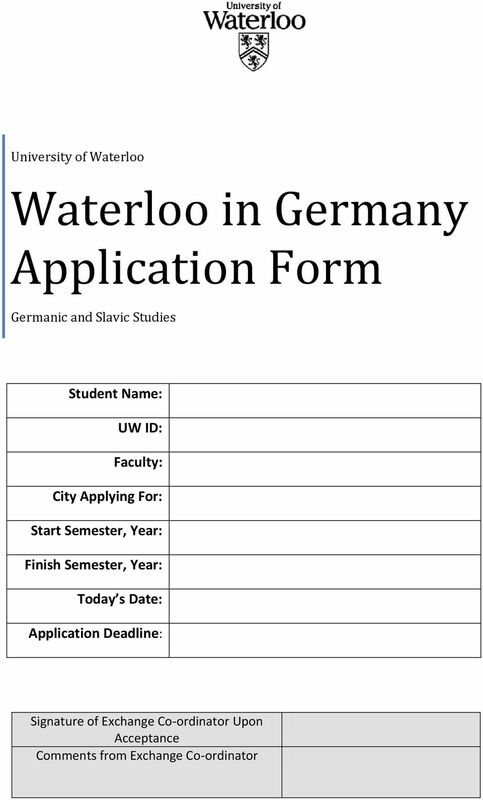 Download "Waterloo in Germany Application Form"
6 XI. 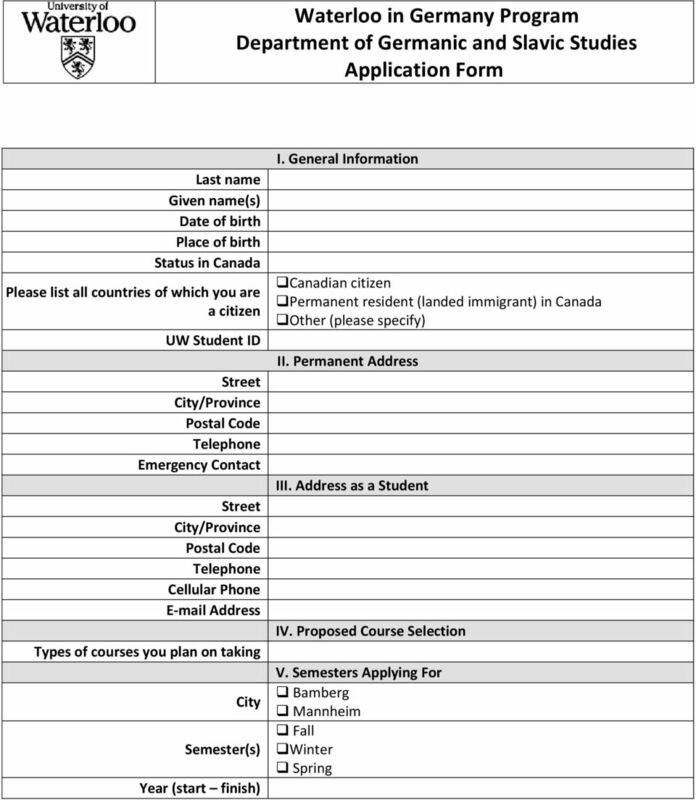 Letter of Supprt Use this form as a reference from a professor who is familiar with you and your academic work. Section I: To Be Filled Out by Applicant Applicant s Full Name: Name of university currently attending Program Plan Intended Discipline(s) of Study in Germany Industriousness Academic Achievement Oral and written skills Judgment Maturity Flexibility Ability to deal with ambiguity Section II: To Be Filled Out by Professor Excellent Very Good Good Average Below Average Inadequate Opportunity to Observe Section III: Please elaborate whether or not the candidate is prepared personally and academically to succeed in a different academic system and to adapt successfully to living in a different culture. You may choose to attach a separate page. 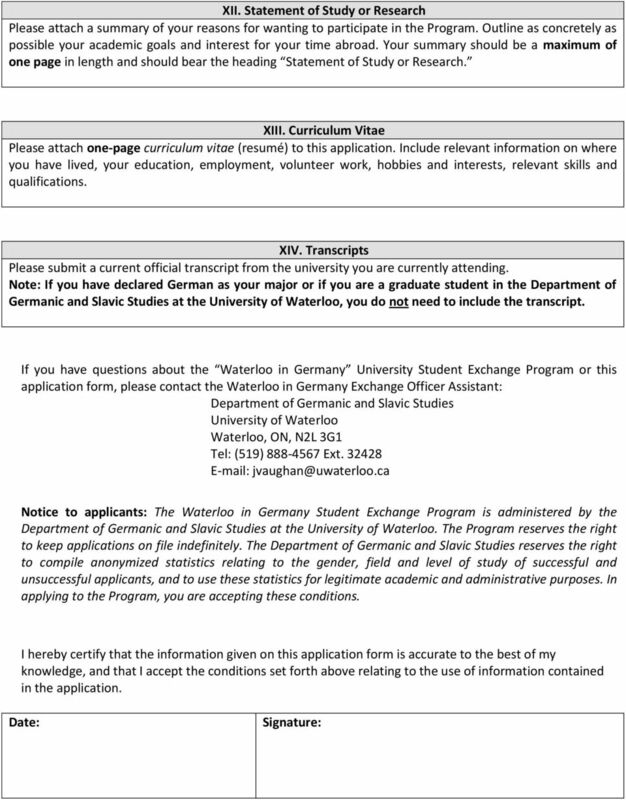 Name, Title Department, University Known Student What Length of Time Date Signature Section IV Instructions to Professor: Please return this form to the applicant in a sealed envelope or to the exchange co-ordinator within one week of having received it. 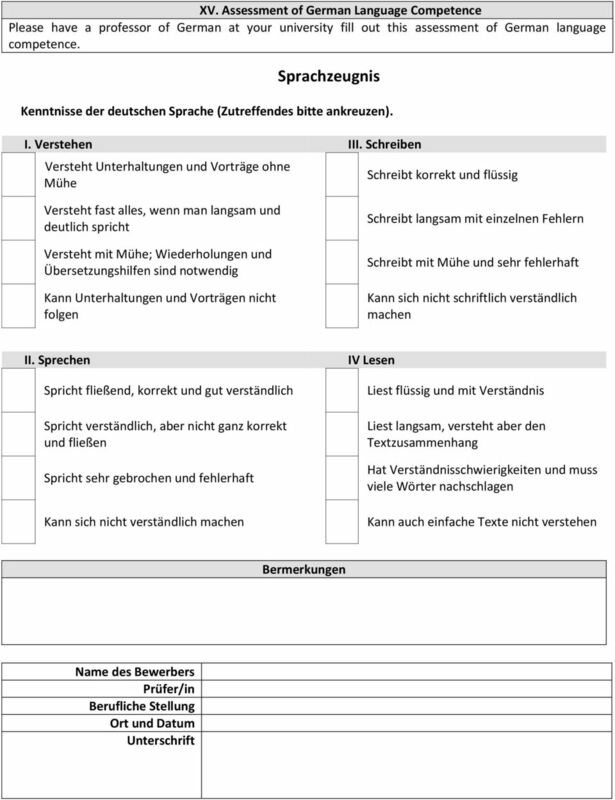 which have already been paid by the remuneration debtor to the German tax office. 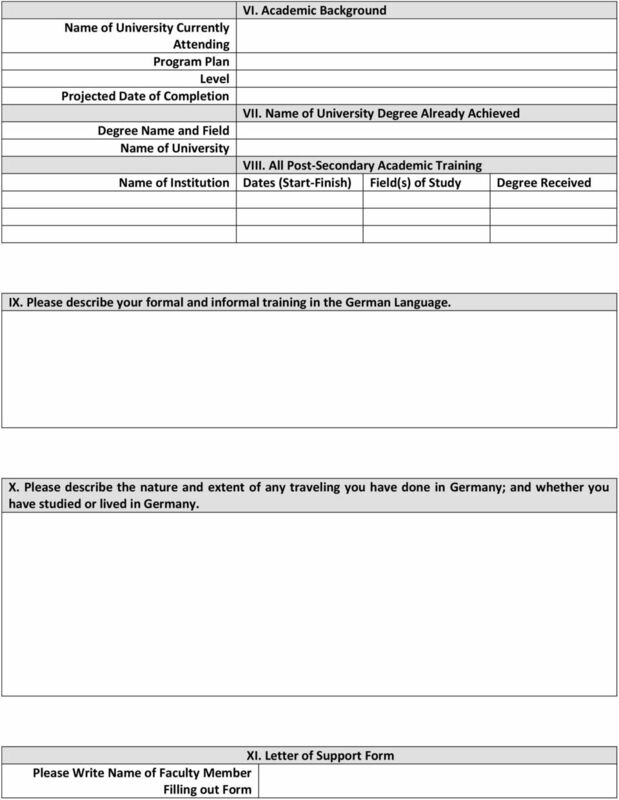 Please fill out the application form (in German or English) and send it together with all required documents until 30.09. Call for proposals: STIBET Teaching Assistantship and Degree Completion Support The TUM Graduate School offers assistantships for the upcoming winter semester, financially supported by funds from DAAD.